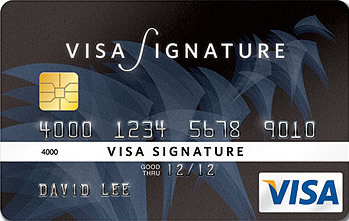 The Visa Signature card is Visa’s highest offering. It’s a lot more complicated to figure out which program as the best, when compared to American Express for both Visa and MasterCard, because each handles it’s details through the bank which issues the card. At a high level the card includes standard travel benefits (packages, discounts, upgrades), concierge (travel, dining reservations, vacation planning, help with general research and recommendations), access to special tickets and events (entertainment, sporting, fine dining/culinary), special shopping discounts and privileges, as well as dining reservations and restaurant reviews from Zagat.